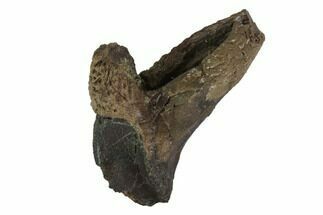 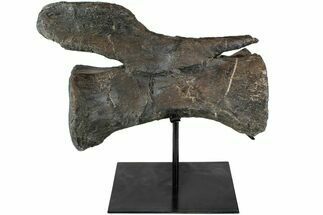 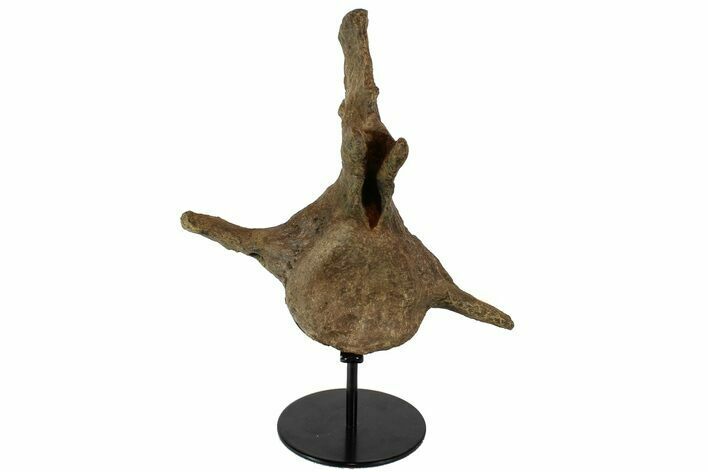 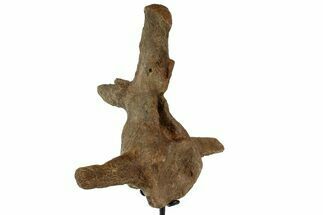 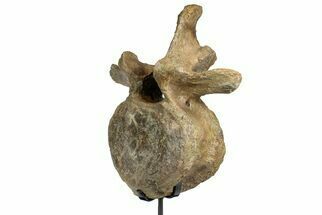 This is a 8" tall caudal (tail) vertebrae of a Triceratops horridus. 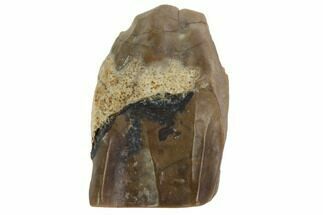 It was collected from our partners lease in the Hell Creek Formation near Bowman, North Dakota this past summer. 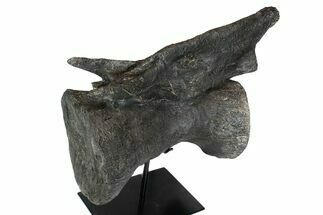 It comes with a custom metal display stand, pictured. 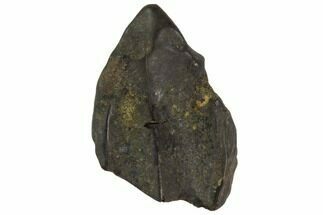 The ends of the processes have been restored.